January has passed by so quickly that the entire month is truly a blur! Because of this, I didn't get around to doing anything special for Groundhog Day. 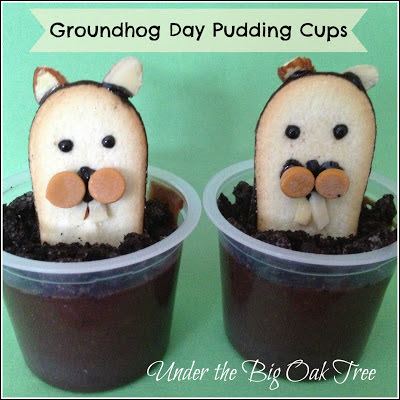 In fact, I completely forgot about it until I saw the adorable treat my friend Merry made for her kiddos to celebrate the day that we find out if we'll have an early spring or if we'll be stuck with 6 more weeks of winter! Since I've been wanting to ask Merry to do a guest post ever since I shared photos of her daughter's Princess and the Pea birthday party, I saw this as the perfect opportunity! Hi, my name is Merry and I am mom to James, 11, and Lily, 5. I am a big holiday celebrator. No matter how small the holiday I can find a way to celebrate it. Especially these winter holidays when Christmas is over and spring seems so far away. It's another 2 weeks to Valentines Day? Have no fear - Groundhog Day is here! 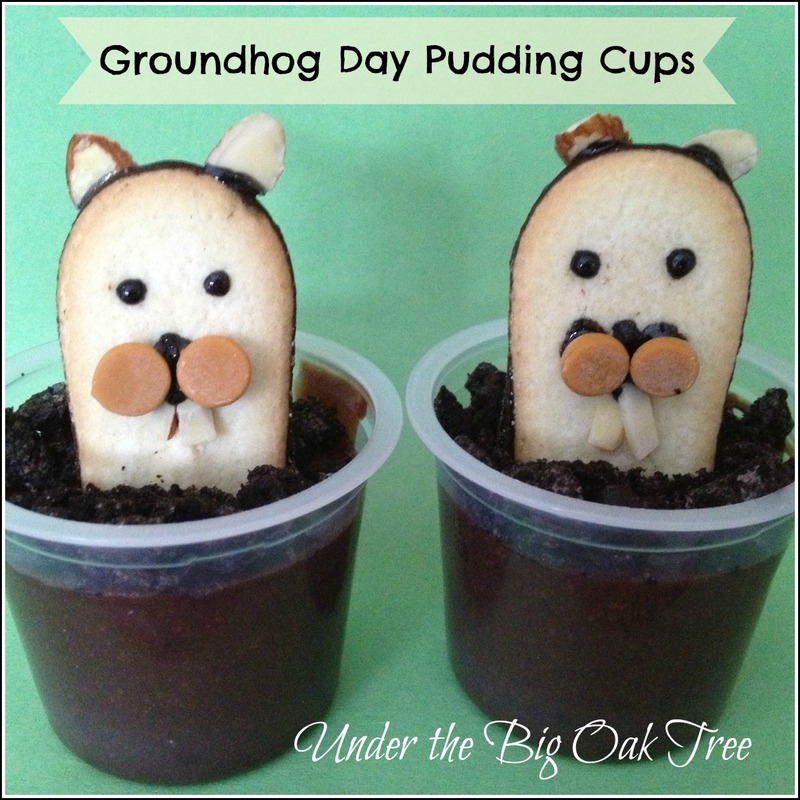 Lily has come home from school asking to watch Punxsutawney Phil on tv live and this year I have made a cute dessert, Groundhog pudding cups for the kids to enjoy. So we are in full Groundhog mode here. I got the idea from FamilyFun magazine (you can see my inspiration here) and if you don't already get it look into it because they have many great and easy things to do for and with your kids. The only changes I made to the directions in the magazine is I substituted butterscotch chips for the suggested peanut butter ones and used a tube of black cake decorator icing that I already had. It was hard but I managed to not eat the whole bag of Milanos before I could make these. So, have a Happy Groundhog Day and in this house we are hoping for an early spring! Note from Alison: In case you're like me and you've lived under a rock since the release of the movie Groundhog Day in 1993, the last line in Merry's post is a reference to the movie. I've never seen the movie so I had to ask her! I guess it's about time I watch it...I wonder if it will be on cable at all today?